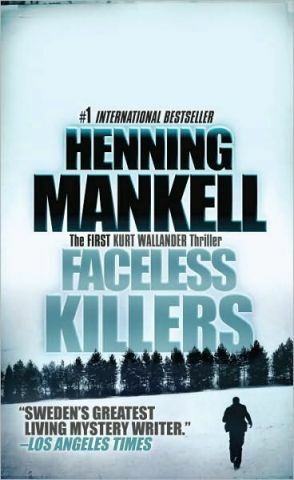 I finished the first Kurt Wallander book Faceless Killers this past week, by the popular pre-Stieg Larsson Scandinavian crime novelist Henning Mankell. A new paperback edition is being released this month by Vintage Crime/Black Lizard, a publishing house devoted to the best of classic crime novels. I’m not a huge detective mystery reader but like the occasional one. They’re an enjoyable change for me from the thought-provoking literary novels I gobble up. There’s no getting emotionally involved with the suspects or the police force, just wondering who committed the murder and getting swept up in the twists and turns of the clues. The sophisticated clues in Faceless Killers kept me from figuring out what happened to cause the unexplainable murder of an old farmer and his wife in Sweden’s countryside. They are strange victims of violence, considering their peaceful life. Only a few clues give Wallander anything to go on: the knot of a noose tied around the wife’s neck, their horse recently fed and watered in the barn, and a last word uttered by the wife, indicating the killers may be foreign. When this last clue is leaked to the press, it unleashes racial hatred in the community. While it’s the mystery that makes a good crime book, I wanted to find a detective whom I could care about and whose life I invest in from the beginning, as I explore this literary genre. That’s why I picked up Mankell’s first Wallander mystery, originally published in English in 1997. There’s certainly enough going on in Wallander’s life to invest in: the guy’s got serious yet common personal issues that reveal his humanness. His wife, whom he still loves, leaves him, his daughter won’t talk to him, he can’t seem to break a junk food habit and he’s clearly in need of advice on how to approach a woman romantically — he fumbles badly with the new prosecutor, groping her over a drink. An opera buff, Wallander would’ve done better by offering tickets to La Bohème. In March, Wallander’s author and publisher Knopf will release The Troubled Man. It’s the first Kurt Wallander detective mystery to be published in a decade and likely the last in the popular series. 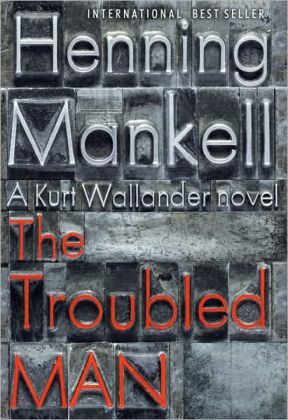 At least, that’s the buzz, as in this from a fan site: “[Mankell] mentioned that Wallander will not die in the book, but that something will happen to him and it will be impossible to write any more Wallander novels.” This new/final book in the series is another reason to begin at the beginning, with Faceless Killers, and work forward to whatever is going to happen to Kurt Wallander in The Troubled Man. It’s rarely if ever satisfying to walk in with a blank slate on the last act. Kenneth Branagh plays the role of Inspector Wallander in the Masterpiece Mystery! production of Faceless Killers. You can watch a clip from the show that aired October 3, 2010.